Graham Hancock’s 2015 book Magicians of the Gods: The Forgotten Wisdom of Earth’s Lost Civilization1 is something of a sequel and update to his 1995 international bestseller Fingerprints of the Gods: The Evidence of Earth’s Lost Civilization,2 which was translated into 27 languages and sold more than three million copies.3 In Fingerprints, Hancock uses creation myths in ancient texts and wild geological scenarios to suggest that 12,450 years ago major crustal shifts moved Antarctica to its present location. Portions of a supposedly highly advanced unknown lost civilization (none other than Atlantis) living on Antarctica at the time were able to survive the destructive cataclysms and go on to convey their knowledge to the builders of the megalithic structures of Egypt, Maya, Babylon, and other known great civilizations. He also claims that the Mayan calendar portended world cataclysms in 2012. In Magicians, Hancock now says he got it all wrong—there was no crustal shift; instead he thinks this advanced civilization was destroyed by a comet. Magicians appears to be on its way to becoming another bestseller for the British writer. Although Hancock has few scientific credentials (an undergraduate degree in sociology from Durham University),4 his early career as a journalist5 helped him navigate through a wide range of scientific research, but without benefit of specialized training in astronomy, geology, history, archaeology, or comparative religion and mythology. Hancock is obviously bright, articulate, and a good writer and storyteller who comes across as eminently reasonable, which makes it all the more difficult to tease apart fact from fiction in the many claims made in his books, documentary films, and lectures. Figure 1: Excavators uncover one of many circular enclosures at Göbekli Tepe. Two large T-shaped pillars over 5m (16 feet) high typically stand in the middle of the ring with smaller pillars facing them. Some of these stones are decorated with reliefs of animals that once lived in the area. This area known as Enclosure D features birds, while others emphasize animals such as snakes, foxes, boars, or wildcats. It’s a romantic notion, but not the conclusion that the late great German archaeologist Klaus Schmidt came to after excavating Göbekli Tepe for more than two decades beginning in 1994. The site, he says, was used from 11,600 to about 10,000 years before the present. Lower sections were backfilled giving way to new structures on top. The fill is refuse containing sediment, hundreds of thousands of broken animal bones, flint tools for carving the structures within the site and for hunting game, and the remains of cereals and other plant material, and even a few human bones. There is no evidence that the site was ever used as a residence, and the megaliths found there (Schmidt called them “monumental religious architecture”) along with carvings and totems, imply ritual and feasting. 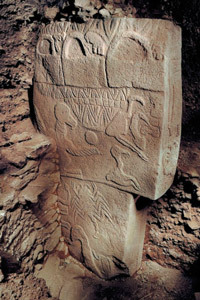 Figure 2: A T-shaped megalith with animal carvings at Göbekli Tepe. Göbekli Tepe and other archaeological sites being studied nearby have forced archaeologists to rethink the way the prehistoric lifestyle of hunting, gathering, and foraging gave way to a more domesticated lifestyle in northern Mesopotamia. Oliver Dietrich, a colleague of Klaus Schmidt at the German Archaeological Institute, poignantly expressed the impact of these discoveries: “These people must have had a highly complicated mythology, including a capacity for abstraction. Following these ideas, we now have more evidence that…social systems changed before, not as a result of, the shift to farming.”11 It also shows that hunter-gatherers were capable of more than we previously thought, and that the origins of religion may have to be pushed back by millennia. But this is a far cry from Hancock’s proposal that the site is a link to his lost civilization. In fact, archaeologists consider Göbekli Tepe to be a pre-pottery Neolithic site. Not only is clay pottery absent, the site contans no evidence of any metal or metal workings. The obvious reason for this is that clay pottery and metals are typical of more advanced cultures. Although Hancock writes that “our ancestors are being initiated into the secrets of metals, and how to make swords and knives,” no such thing is found at any of the archaeological sites he touts as being influenced by his highly advanced lost civilization, not at Göbekli Tepe, nor in the non-Roman areas of Baalbek, Easter Island, nor at any of the ancient Mayan sites he discusses. The Watchers begin their development project in quite small ways, teaching “charms and enchantments, and the cutting of roots” to humans, and making them “acquainted with plants.” This sounds fairly harmless; apart from a bit of “enchantment,” it’s not really above and beyond the basic hunter-gatherer level of skills. But pretty soon, as we saw earlier, our ancestors are being initiated into the secrets of metals and how to make swords and knives, and how to study the heavens. Hancock may call this reporting, but Shermer was not satisfied by such chicanery when he questioned Hancock on why the hunter-gatherers at Göbekli Tepe were not taught the “secrets of metal workings.” Hancock had no explanation as to why the hunter-gatherers at Göbekli Tepe knew nothing about metals, or even pottery, nor did he reply to Shermer’s numerous requests for a definition of an “advanced civilization” that lacked writing, metallurgy, or ceramics. Schmidt and his colleagues have arduously documented the use of flint tools for the construction of Göbekli Tepe, and none of the hundreds of thousands of animal bones and cereals found in the backfill from the lowest levels show any signs of domestication— they are all wild species. In fact, the large abundance of bones from wild animals found at the site allows Schmidt to underscore the ability of the hunter-gatherers in the region to support the hundreds of workers and stone cutters presumed necessary to create the megaliths and other structures. Schmidt makes a salient point almost as if he anticipated Hancock’s book: “Fabulous or mythical creatures, such as centaurs or the sphinx, winged bulls or horses, do not yet occur in the iconography and therefore in the mythology of the prehistoric times. They must be recognized as creations of the high cultures which arose later.”12 I would only add that unlike the Mesopotamian and Egyptian civilizations where inscriptions made by literate societies have been well documented, not a single inscription has been found at Göbekli Tepe. Next consider Hancock’s assertion that the stone carvings on the sides of the T-shaped pillars at Göbekli Tepe represent constellations. Figure 49 on page 319 of his book (Figure 3 below) emphasizes how virtually any figure could be matched to star asterisms (clusters). In fact, Schmidt concluded that the figures on the pillars mostly represent the wild animals whose bones were found in the backfill from the site. Figure 3: Hancock claims that the “teapot” asterism of the constellation Sagittarius fits the vulture from Göbekli Tepe better than the archer (page 319). 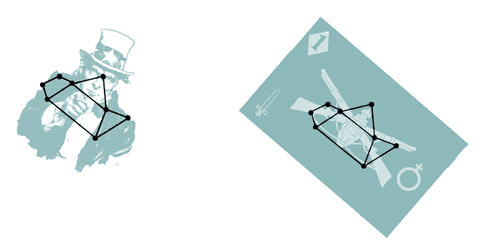 Figure 4: Two interpretations of the “teapot” asterism by the author: Uncle Sam and a commando insignia. It is easy to find matching patterns if you are motivated to do so. Graham Hancock attempted to decode GT in his book Magicians of the Gods using the ideas of Paul Burley and the YD [Younger Dryas] context provided by [Andrew] Collins, but in our view his logic takes a wrong turn early on, leading him to make some erroneous conclusions. Especially we oppose Graham’s contention that the Vulture Stone predicts an impact 12,000 years into their future—around 2030 AD—this is, ocurse [sic] impossible. That Sweatman distances himself from Hancock’s theory is telling, but in my decades of reading scientific papers I have never come across an article more speculative than this one. The entire paper rests on the supposition that the authors can match “low relief carvings” on a pillar of Göbekli Tepe to star asterisms in 10,950 BCE in the western sky at 4 seconds after 1:01 PM on September 11 (Figure 5, below). Specifically, Sweatman and Tsikritsis use the carvings on pillar 43. But why that one? There are many pillars both unearthed (44) and still buried at Göbekli Tepe, so it is not clear why pillar 43 has the significance they attribute to it—drawings of animals decorate most of the pillars. In any case, they start by assuming that the scorpion at the bottom of pillar 43 is the same as the modern-day constellation Scorpius. The assumption that we can attribute 12,950 year-old patterns on rocks to star asterisms is highly suspect. Here in the U.S., for example, we call a set of stars in the constellation Ursa Major the Big Dipper because to our eyes it looks like a dipper. In the UK, however, they call the same asterism the Plough. In Mayan culture it is described as a parrot. In ancient Egypt it is the leg of a bull. No doubt naming asterisms helped ancient peoples remember star patterns, but the names were not always chosen on the basis of a matching appearance with the asterism. Such naming could be and often was symbolic. There are many carved images of animals at Göbekli Tepe, and attributing even one to a star pattern is more like astrology than science. Figure 5: The star pattern is from the day sky in 10,950 BCE (using the astronomical computer program Stellarium) with the images from pillar 43 at Göbekli Tepe matched with the constellation as proposed by Sweatman and Tsikritsis. I argue that the correlations are purely speculative. Here is the rub. Sweatman and Tsikritsis casually assume that because in the past a star asterism was attributed to a scorpion (in this case Scorpius), it makes perfect sense that ancient hunter-gatherers living 13,000 years ago saw the same pattern as a scorpion. Look carefully at Figure 6 (below) and compare the scorpions to the star pattern we call Scorpius. I think most would contend that almost any elongated figure could be associated with the star asterism and that matching of a scorpion to the pattern takes a fertile imagination. Finally, the scorpion on pillar 43 looks nothing like the star pattern. The pattern correlation problem does not keep Sweatman and Tsikritsis from matching figures on pillar 43 in a roughly clockwise fashion to the asterisms surrounding Scorpius in the day sky of 10,950 BCE. 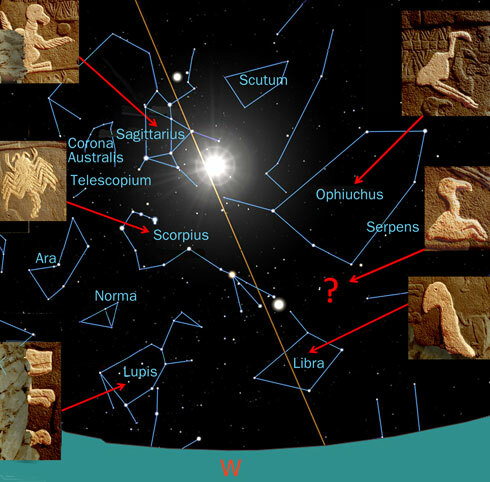 I show the day sky with the location of the sun and images of the various animals below with arrows pointing to the constellations they supposedly match (Figure 5). Besides the obvious fact that the images have no good correlation to the star patterns in the known constellations displayed (e.g., look at the bird figure that has been matched with Libra), there are many constellations that have been ignored, such as Norma, Ara, Telescopium, Corona Australis, Scutum, and Serpens. In addition, there is one bird-like feature that does not match to any star asterism and in another case, for an unexplained reason, a crane-like image is combined with a fish-like image to match with Ophiuchus. Not only do Sweatman and Tsikritsist claim their mapping of the images in the sky documents a date of 10950 BCE ± 250 years, but they go on to conclude that the hunter-gatherers of Göbekli Tepe must have been certifying the date of “the” comet strike. (Even though that strike supposedly occurred in North America). They try to bring their point home by suggesting that a “belt buckle” with a “nested U” has “an excellent likeness of the very specific bow shock wave of a hypersonic spherical object.” Seriously? Without high speed photography how does one see the bow shock wave of an object traveling faster than the speed of sound? If you wanted to convey the existence of a comet strike to future generations, would it not be prudent and obvious to carve the actual positions of the stars along with the comet on a rock? Sweatman and Tsikritsis, along with Hancock, attribute evolved astronomical knowledge to these huntergatherers. So why don’t these ancients show off their knowledge with star maps rather than with figures that may or may not represent constellations? I think the answer is obvious—the carvings likely have nothing to do with asterisms. 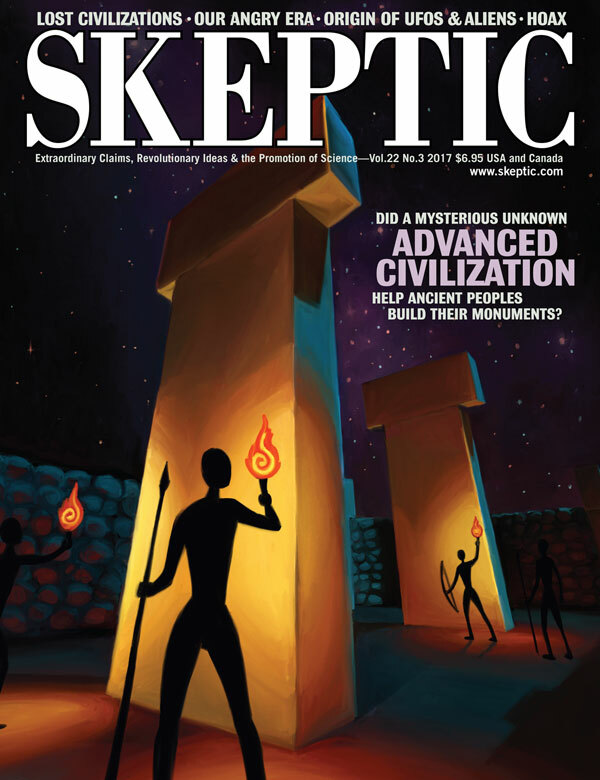 Hancock has attempted to make the case that the megalithic structures at Göbekli Tepe are so complex that they had to involve assistance from his lost advanced civilization when the hunter-gatherers built them. But Schmidt found that the backfill that covered these structures had no signs of any advanced technologies including domesticated animals or crops. Shermer’s point about lack of technology becomes even more salient when you carefully examine Hancock’s proposal—the Magicians supposedly taught hunter-gatherers the secrets of asterisms (and even how to predict the destruction of our planet some 12,000 years in the future) but did not pass on simpler technologies like domestication of plants and crops or the use of metals and pottery? Not likely. Hancock’s formula used at Göbekli Tepe for inferring a lost advanced civilization—speculation absent of supporting data—is extended to other archaeological sites. Arguably, the most egregious example of “fitting” ancient structures into a lost civilization fantasy occurs at the Great Sphinx of Giza and the Sphinx and Valley temples. Recent dating that contradicts Hancock’s assertion was published in 2015. University of the Aegean physicist Ioannis Liritzis and his collaborator Asimina Vafiadou published in the peer-reviewed Journal of Cultural Heritage surface luminescence dates of the Valley and Sphinx temples that match perfectly with the time period that archaeologists have long accepted based on other dating techniques—the Great Sphinx of Giza and associated temples were built during the reign of Pharaoh Khafre (c. 2558–2532 BCE).14 Nevertheless, with a stiff upper lip Hancock spends several pages in Magicians attempting to argue that the dates come from what we are told “Schoch already regarded as restoration work.” I wrote Dr. Liritzis and asked him to comment on the assertions made by Hancock and Schoch. He told me he was aware of Hancock’s “ideolipseis” and assured me that the samples Hancock claims were from a coating placed over the blocks to shield them from weathering “were not shielded coatings…but derived from the whole block in between a firm contact!” In other words, the Sphinx and Temple Complex are evidence of an ancient civilization that existed in the third millennium BCE, not thousands of years earlier. Hancock makes no mention of these aspects of Lehner’s work, but he does tell us that “By virtue of the distinctive weathering patterns on that monument’s [the Sphinx] flanks and on sections of the trench that surrounds it—highlighted in the analysis of geology professor Robert Schoch of Boston University— a proto Sphinx does appear to have existed when heavy rains fell across Egypt at the end of the Ice Age.” Attentive readers will notice that Hancock links the weathering on the Sphinx with the weathering in the trench from which the walls of the Sphinx and Valley temples were extracted. In other words, the weathering must have occurred after the walls were excavated from the trench and placed in the Sphinx temple—the very walls that have been dated to approximately 2500 BCE by Liritzis and Vafiadou. Indeed, Lehner located the site where as many as 2,000 laborers lived while constructing the Giza complex near the Old Kingdom cemetery that Hawass had uncovered nine years earlier. The cemetery was the burial site of some of the directors of the construction of Giza based on tomb inscriptions. Lehner showed that the laborers were not slaves, but the kingdoms hired hands—bone artifacts indicate that their diet was mainly young cattle (prime beef!). The makeup of the laborer community is important because it appears they walked off the job before the Giza complex was finished. As far back as 1978, Hawass and Lehner discovered that stone blocks were left abandoned as the Sphinx temple was being built.17 Why? Next we will consider Hancock’s explanation for why there is no direct evidence for his lost civilization— it was completely wiped out by a comet impact. Here’s the back story which involves a mainstream scientific controversy that Hancock has stepped into for his own unique reasons. 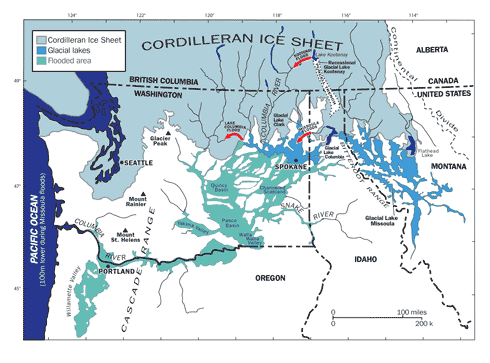 About 23,000 years ago Earth began to come out of the last glacial deep freeze, marked by receding glaciers at the end of the Last Glacial Maximum (see Figure 7, above). 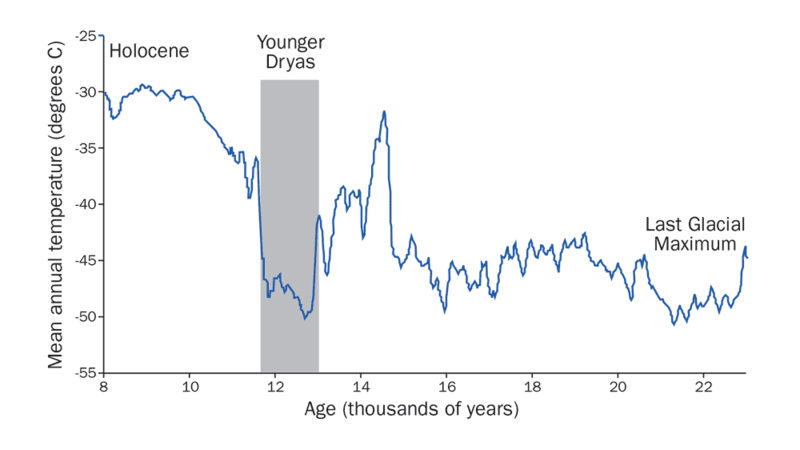 But rather dramatically, about 12,900 years ago temperatures plummeted and then did an about face, warming again about 11,500 years ago—a period of 1,400 years geologists call the Younger Dryas (YD). The cause of the event has been a matter of considerable scientific debate for decades, but consensus in the early 1990s centered on a paper by Wally Broecker and his colleagues that proposed the disruption of a large-scale ocean phenomenon called the Thermohaline Circulation in the north Atlantic, driven in part by the interaction of surface heat and freshwater fluxes.21 Melt water from the massive Laurentide Ice Sheet covering large swaths of northern North America drained into ancient Lake Agassiz, itself formed by the retreat of the more than mile thick glacier. Water then flowed south through the Mississippi embayment to the ocean. Oxygen isotope analyses along with 14C dating of planktonic shells from the Gulf of Mexico reveals a decrease in the flux of fresh water from about 11,100 until 10,000 years ago. The Broecker group postulated that the compositional change in seawater related to a change in the drainage through flooding from Lake Agassiz toward the North Atlantic. The idea was that an influx of freshwater into the North Atlantic diminished density-driven circulation of oceanic currents— the conveyor belt that brings warmth to the northern climes—initiating worldwide cooling. 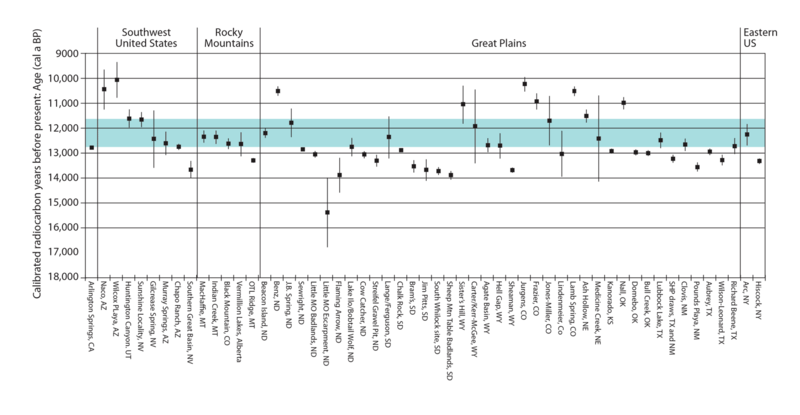 However, neither geomorphic evidence of flooding from Lake Agassiz into either the Arctic or Atlantic oceans, nor a drop in the water level in Lake Agassiz could ever be found, causing even Broecker to abandon the Lake Agassiz flooding hypothesis.22 That left the door open for another scenario, a comet strike termed the Younger Dryas Impact Hypothesis (YDIH). The proponents of YDIH claim that the impact not only caused the dramatic climate change, but also triggered the demise of the Pleistocene megafauna (the extinction of dozens of large North American mammals more commonly attributed to either overhunting by humans, gradual climate change, or both) and the collapse of the Clovis culture in North America. The debate over what happened during the YD can only be described as a scientific “dogfight” that may go on for decades. But the reason the YDIH extraordinary claim has yet to find consensus is that extraordinary evidence has yet to emerge to support it. To be clear, the debate is not over lost civilizations. The firestorm began in 2007 when Richard Firestone and numerous colleagues proposed that it was a comet strike of “multiple ET [extraterrestrial] airbursts along with surface impacts” that occurred at 12,900 years ago that initiated the YD.”23 The paper was full of impressive evidence gathered from 10 sites where a carbon-rich layer (referred to as the “black mat”) marked what they claimed was the end of the Clovis culture in North America: “The in situ bones of extinct Pleistocene megafaunas, along with Clovis tool assemblages, occur below this black layer but not within or above it.” They reported that sediments directly below the black mat were enriched in magnetic grains, iridium, magnetic microspherules, charcoal, soot, carbon spherules, glass-like carbon containing nanodiamonds and fullerenes containing extraterrestrial helium. They explained that the soot, charcoal, spherules, etc. were the result of extensive and intense forest fires initiated by the airbursts. 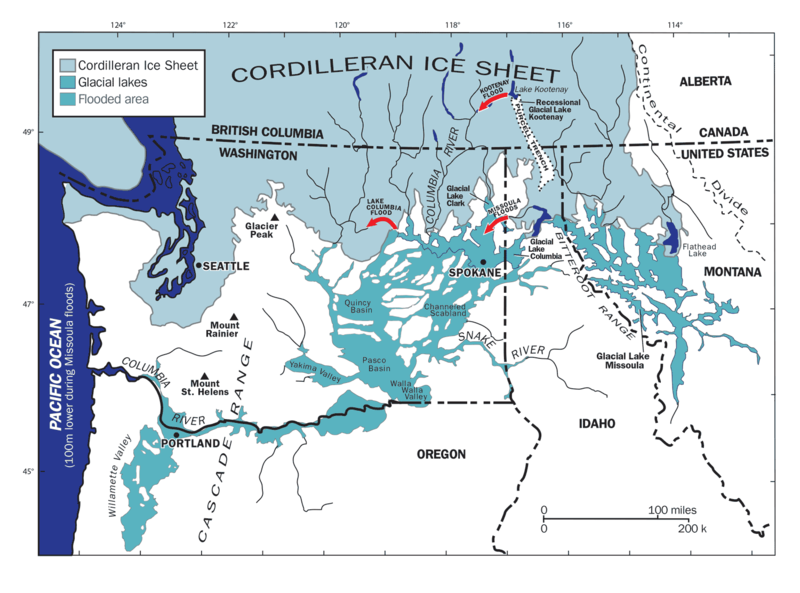 Melting of the Laurentide Ice Sheet would have dumped copious quantities of melt water into the Atlantic, thereby disrupting the density currents and bringing on the cooling. Over the years, however, support for the YDIH has been undermined. Nearly every aspect of the original evidence has been challenged by a host of scientists in various fields. Only one of the indicators, iridium, has been commonly used as an impact marker, and the iridium data have not always been reproducible. The iridium concentrations can also be explained by terrestrial origins.24, 25 Nor do nanodiamonds require extraterrestrial events. The absence of any impact craters at the beginning of the YD worldwide is the most disconcerting evidence against YDIH, as is the lack of control for the age of sediments/black mat at or near the YD boundary. 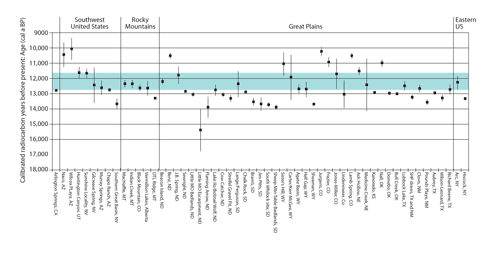 Figure 8 (below) shows the range of 14C dates from the YD boundary at various Clovis sites. The gray region represents the YD, and the dates emphasize the difficulties in precisely defining the YD boundary at 12,900 years ago. There is, in fact, no need to hypothesize a catastrophic event to explain the disappearance of the megafauna and associated Clovis culture. 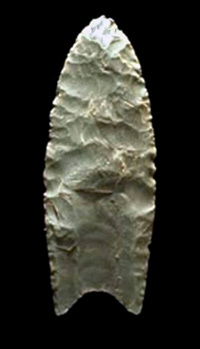 The Clovis culture in North America is known foremost for the large fluted lanceolate projectile points found primarily around 13,500 years ago. There are spectacular mammoth kill sites associated with Clovis artifacts with butchery marks on the mammoth bones. At the Manis site in Washington, Dr. Carl Gustafson and his team excavated a mastodon skeleton in the 1970s with a long projectile point embedded in one of the bones. Under the “overkill” scenario, the disappearance of Clovis projectile points and other artifacts does not require a catastrophic event. It probably means that the human toolkit, originally developed to kill the megafauna, was gradually replaced as the megafauna were killed off.32 There is no evidence that humans disappeared in North and South America after the YD. How would a comet kill the megafauna but leave humans virtually untouched? In addition, contrary to what Hancock would have us believe, there is no evidence of catastrophic flooding. Recall that Broecker had to back off his Lake Agassiz hypothesis because no evidence for catastrophic flooding could be found. The glacial moraines formed by the Laurentide Ice Sheet have been precisely mapped and they show a consistent retreat until about 9,800 years ago.33 They would most assuredly have been disrupted by the postulated massive floods. I want to emphasize that although the YDIH has lost acceptance within the scientific community over the last decade, the debate proceeds in the proper scientific manner (i.e., by publishing results in peer-reviewed scientific journals). As Malcolm LeCompte, one of the comet researchers, pointed out in our debate on Joe Rogan’s show (he was Hancock’s expert guest; I was Shermer’s), there are four indicators at the YD boundary that may be due to an extraterrestrial origin: nanodiamonds, magnetic sphericals, melt glass, and the platinum group metals (reduced from the 10 or more originally proposed by the Firestone group). But all of these can be explained through terrestrial processes also, which he acknowledged on the show. A recently published paper has some intriguing data. Moore et al.35 found platinum concentrations above background levels within what they believe is representative of the YD boundary. The problem, of course, is that Pt concentrations are traditionally low in ice-rich comets. LeCompte suggested that the Pt concentrations could be indicative of an asteroid. The story continues to evolve, and I am loathe to comment further until the comet/asteroid group can decide what the correct scenario is. While Pt concentrations do increase within the YD boundary, dating the event is difficult (see Figure 8). The debate may take many years to be resolved. While I would not rule out an extraterrestrial event at this point there is virtually no evidence that an asteroid/comet devastated the megafauna, caused massive flooding, and destroyed the Clovis culture. In any case, Hancock’s reliance on the YDIH is problematic for a number of reasons. First, Hancock’s white whale is what geologists call uniformitarianism— the idea that the earth has been affected by continuous, gradual, uniform processes. He claims that scientists are so blindly wedded to this dogma to the point that they cannot see the catastrophism before their eyes. This is disingenuous. As a practicing geologist, I can assert in the strongest terms that although uniformitarianism is a tool in geological research, the importance of catastrophes has been recognized since the early to middle 20th century, thanks to work by Daniel Barringer and later Gene Shoemaker on Meteor crater, J Harlen Bretz and J. T. Pardee on the Scabland floods, and the documentation of massive volcanic eruptions, past tsunami events, glaciation, plate tectonics, and many more examples. Far from being dogmatically closed minded, our openness toward catastrophic events is precisely what allowed Walter and Luis Alvarez to overcome an initially doubting geologic community to accept the idea that the dinosaurs had been wiped out by a meteor impact. Hancock implies conspiracy whenever he runs into normal scientific skepticism (he actually has sections of his book entitled “Conspiracy Corner” and “Taking on the dogmatic uniformitarians”). This allows him to deflect scientific criticism from his unlikely ideas by painting himself as just one of many that have run up against the supposed scientific juggernaut of uniformitarianism. I asked Isaac Larsen at the University of Massachusetts, one of the world’s experts on the Scabland flooding, if there was any chance that the deluges could be related to the YDIH, and if he had any thoughts on the claims made by Hancock about a conspiracy to hide evidence. 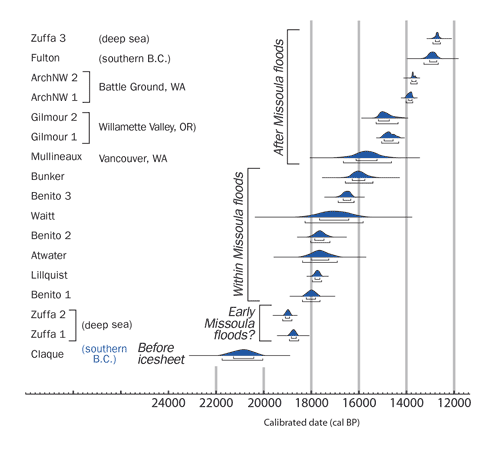 (Larsen along with his colleague Michael Lamb have just published a paper in Nature on “outburst flooding in the Scablands.”37) He did not mince words in his response: “The scientific consensus is that there was not one single catastrophic flood, but multiple floods, and the occurrence of multiple floods is hence not consistent with the comet impact proposal…. Regarding conspiracies, I would say that the scientific community is very open to new ideas, and those ideas supported by data gain credence, whereas ideas that lack compelling empirical or theoretical basis fail to gain traction. Scientists are quite individualistic, and getting thousands of them to subscribe to a conspiracy isn’t something I can imagine happening.” Neither can I.
Magicians is admittedly a compelling read, and its thesis a titillating one, invoking an advanced lost civilization that reinforces the myth of a “Golden Age” of humanity, but it is convoluted and twisted in its substance. Hancock is often vague, which makes it difficult to ferret out what he is trying to say. His book is full of excerpts from mythology that he insists bear hidden truths. Not once are we told why the magicians had to send their messages using obtuse metaphors. But Hancock’s message is clear: a technologically advanced civilization—no less than the most famous lost civilization in all fiction, Atlantis—was destroyed by the YD comet strike, and it could happen to us! However improbable it may seem, therefore, we are obliged to consider the possibility that in 9600 BC the builders of Göbekli Tepe were already so advanced in their knowledge of the recondite phenomenon of precession that they were able to calculate its effects for thousands of years backward and forward in time in order to produce an accurate symbolic picture of the Sagittarius/winter solstice conjunction… Bearing in mind that half a precessional cycle is 12,960 years… if I understand the message correctly, we’re in the danger zone now and will be until 2040. In other words, Hancock is seriously proposing that we are being told by the Magicians that the comet clusters that supposedly struck earth some 12,900 years ago and led to the destruction of Atlantis, the North American megafauna, the Clovis people, etc., will rain death and destruction upon us sometime over the next few decades. The extreme mental gymnastics Hancock goes through to warn us of eminent doom fails in the light of logic. (1) Hancock insists that the Mayans could predict the future from celestial mechanics; (2) He claims the Mayan calendar is based on a precession that began with the “conjunction of the winter solstice Sun and the center of the Milky Way galaxy” some 26,000 years ago. 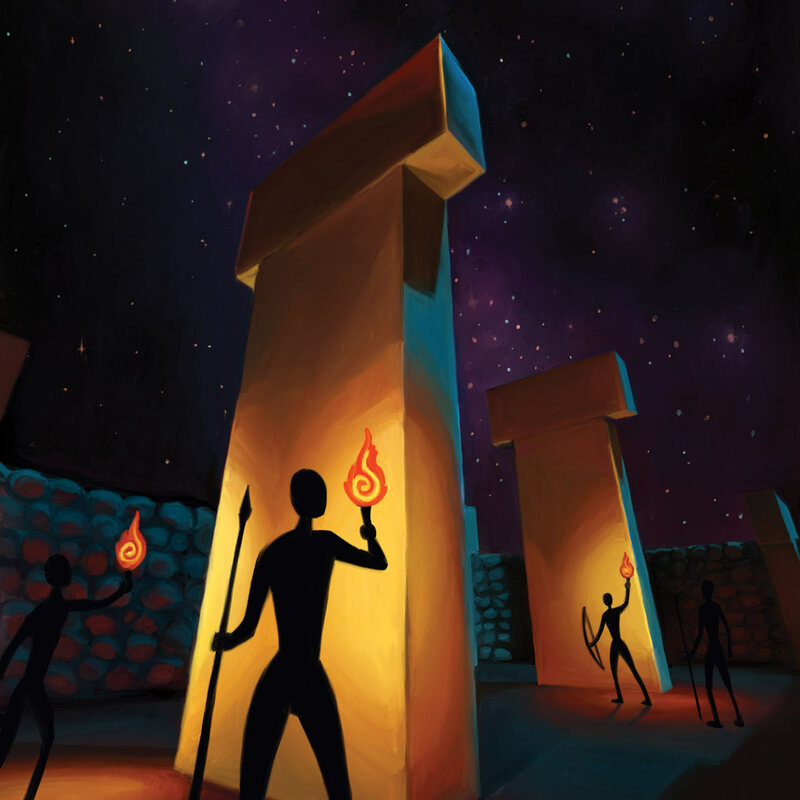 (3) The hunter-gatherers with their magician watchers at Göbekli Tepe recognized, according to Hancock, that the destruction of the lost civilization was precisely at a midway point between the precession 12,900 years ago when a supposed comet struck; and (4) The Göbekli Tepe inhabitants generated symbols indicating that this 26,000 year precession cycle spells doom for our planet in the coming decades. Remember, a 26,000 year precession cycle can be started at any time—there is nothing physically unique about conjecturing that a cycle started when we were aligned “with the dark rift and nuclear bulge of the Milky Way” as Hancock suggests. Nor is the alignment itself unusual. It happens every December. Ignoring such mental gymnastics, the obvious flaw in Hancock’s scenario is the association of a precessional cycle with comet strikes. 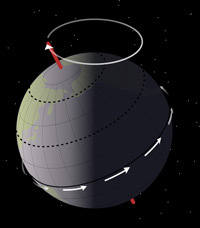 Precession relates to the “wobble” of the earth on its axis over 26,000 year cycles (see Figure 12). Hancock has surmised that the source of the comet that struck the earth 12,900 years ago came from the Taurid meteor shower. The belt or ring does indeed look like it was formed from the breakup of a large comet (which does not imply that a comet struck the earth 12,900 years ago). The earth passes through the Taurid belt in late October or early November and in June and July of each year, which creates meteor showers. But what does this have to do with the earth’s precession? The earth wobbling on its axis over 26,000 years does not affect the earth’s orbit, so why would we expect large comet strikes every 12,900 years from the precession of the earth? I asked Hancock this question during our debate and he seemed dumbfounded by its implications. He never answered my question, probably because there is no answer. All I am left with is that Hancock has a wild imagination and romantic longing for a past best described by myth, not science. Hancock, G., 2015. Magicians of the Gods: The Forgotten Wisdom of Earth’s Lost Civilization. St. Martin’s Press. Hancock, G., 1995. Fingerprints of the Gods: The Evidence of Earth’s Lost Civilization. Three Rivers Press. I have no objection to Hancock’s lack of scientific qualifications per se, but his entire book continually refutes evidence from experts in a plethora of fields. Generalists with no qualifications run the risk of ruined reputations by challenging experts who have dedicated their careers to specific fields. Schmidt, K., 2010. “Göbekli Tepe: The stone age sanctuaries. New results of ongoing excavations with a special focus on sculptures and high reliefs.” Documenta Praehistorica, v. 37, 239–256. Schmidt, K., 2003. “The 2003 Campaign at Göbekli Tepe (Southeastern Turkey).” Neo Lithics, 2/03, 3–8. Curry, A., 2008. 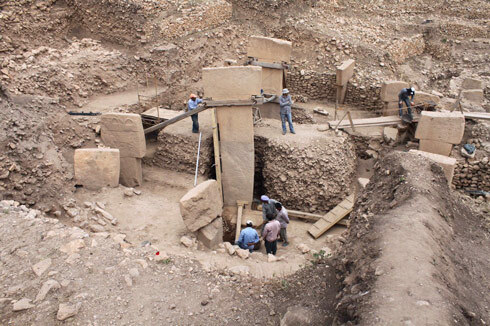 “Göbekli Tepe: The World’s First Temple?” Smithsonian, Nov.
Lang, C. et al., 2013. “Gazelle behaviour and Human Presence at Early Neolithic Göbekli Tepe, South-eastern Anatolia.” World Archaeology, v. 43, 410–429. Peters, J. and Schmidt,K.,2004.“Animals in the Symbolic World of Pre-Pottery Neolithic Göbekli Tepe, South-eastern Turkey: a Preliminary Assessment.” Anthropozoologica, v. 39, 179–218. Dietrich, O., et al., 2012. “The Role of Cult Feasting In the Emergence of Neolithic Communities. New Evidence from Göbekli Tepe, South-eastern Turkey.” Antiquity, v. 86, 674–695. Schmidt, K., 2008. “When Humanity Began to Settle Down.” German Res. v. 30, 10–13. Sweatman, M. B. and Tsikritsis, D., 2017. “Decoding Göbekli Tepe with Archaeoastronomy: What Does the Fox Say?” Mediterranean Archaeology and Archaeometry v. 17, 233–250. Liritzis, I. and Vafiadou, A., 2015. “Sur face Luminescence Dating of Some Egyptian Monuments” J. Cultural Heritage, v. 16, 134–150. Hawass, Z., 2006, Mountain of the Pharaohs. Doubleday, 224. Hadingham, E., 2010, op cit. Kuper, R. and Kröpelin, S., 2006. “Climate- Controlled Holocene Occupation in the Sahara: Motor of Africa’s Evolution.” Science, v. 313, 803–807. Broecker, W., et al. 1989. “Routing of Meltwater from the Laurentide Ice Sheet During the Younger Dryas Cold Episode.” Nature, v. 341, 318–321. Broecker, W., et al., 2010. “Putting the Younger Dryas Cold Event Into Context.” Quaternary Sci. Rev., v. 29, 1078–1081. Firestone, R. B., et al., 2007. “Evidence for an Extraterrestrial Impact 12,900 Years Ago that Contributed to the Megafaunal Extinctions and the Younger Dryas Cooling.” Proc. Natl. Acad. Sci., v. 104, 16016–16021. Paquay, F. S., et al. 2009. “Absence of Geochemical Evidence for an Impact Event at the Bølling–Allerød/ Younger Dryas Transition.” Proc. Natl. Acad. Sci., v. 51, 21505–21510. van Hoesel, A., et al., 2014. “The Younger Dryas Impact Hypothesis: a Critical Review.” Quaternary Sci. Rev., v. 83, 95–114. Holliday, V. T., et la., 2014. “The Younger Dryas Impact Hypothesis: a Cosmic Catastrophe.” J. Quaternary Sci., v. 29, 515–530. Holliday, V. T., et al., 2014. op cit. Boslough, M., et al., 2012. “Arguments and Evidence Against a Younger Dryas Impact Event. Climates, Landscapes, and Civilizations. Geophysical Monograph Series 198.” American Geophysical Union, 13–26. Firestone, R. B., 2009. “The Case for the Younger Dryas Extraterrestrial Impact Event: Mammoth, Megafauna, and Clovis Extinction, 12,900 Years Ago.” J. Cosmology, v. 2, 256–285. Firestone, R. B., et al., 2007. op cit. Hancock refers to the Clovis culture as having a “sophisticated weapons technology” which is simply not true. Broecker, W., et al., 2010. op cit. Waitt, R. B., 2016. 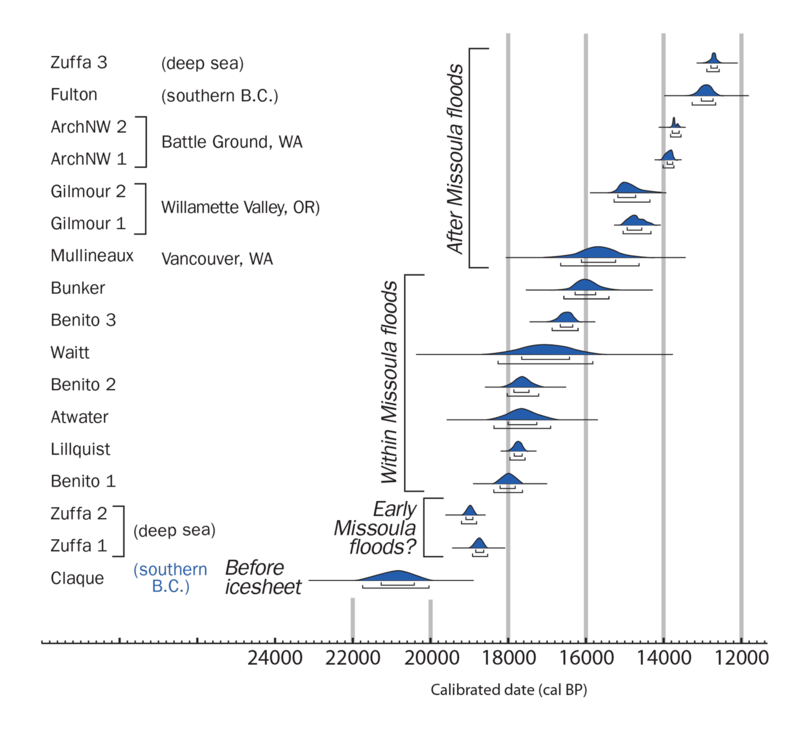 “Megafloods and Clovis Cache at Wenatchee.” Quaternary Res., v. 85, 430–444. Larsen, I. J. and Lamb, M. P., 2016. “Progressive Incision of the Channeled Scablands by Outburst Floods.” Nature, v. 538, 229–232. I once asked the clerk in a book store (Barnes & Nobel?) why Hancock’s books were in the science section and suggested that they belonged in fiction. The Book was written to make a lotta dough from the “new age ” anti science bogus spiritual folks . It isn’t even fiction . I tend to agree with most of this article, and I certainly do not agree with the Hancock Ancient Civilization Hypothesis, but there are a few points in this critique I would like to dispute. One is the claims about prehistoric climate. I consider paleoclimatology a pseudoscience. I think the only climate before our own that we really know anything about is the last one, immediately prior to our own. Any earlier climate regimes, if they existed, are too far back and the evidence too scanty and too much disrupted for us to know anything for certain about them. For all practical purposes, the climate prior to this one, which began some 6,000 years ago, was the original climate of the earth and had always prevailed until the present-day climate began. If the climate was ever different before that, if there was ever an Ice Age, for instance, we cannot know enough about it to hazard a guess as to what it was like. A second point is that there is indeed a scenario in which an air burst of a large meteor could have drastic effects on megafauna and start continent-scale fires without leaving impact scars or flooding. That is if the explosion caused an EMP that disrupted the nervous systems of animals if they were large enough for their nervous systems to resonate to the wavelength it created, but would leave smaller animals unharmed because of their shorter “antenna” not picking up the “signal”. Such an EMP could also start fires by lightning discharges without having any impact effects. I do not actually know this is what happened, but the possibility has to be considered. A third point: The open-mindedness of scientists has some limits. Yes, they do accept SOME catastrophe theories, but usually only the ones far enough distant in time to not matter to us today. When it comes to more recent catastrophes, recent enough that they could play a large role in the development of our own civilization, most scientists refuse to consider evidence. Most scientists are human. They do not like to look too closely at the history of their own species and their own culture any more than other humans do. I felt a bit saddened by Professor Defant’s meticulous scholarship here in refutation of Hancock’s preposterous assertions. Although the scientific history of the earth he presents is riveting, Hancock’s faux science doesn’t merit scientific analysis. His theory is as patently false as the flat earth. Even a grammar-school child (at least this child) knows to laugh off the idea of a “real” Atlantis or the presence of extraterrestrials, etc. One realizes that a person who would believe Hancock, or, for that matter, take seriously such theories as the faked moon landing, is still mentally a child. Fables and myths of the tooth fairy variety usually lose credibility at the age of reason, which varies. But some adults stubbornly reject detailed science in favor of sweeping, colorful and easily comprehended fairy tales. I can understand the lure, but not the credulity. Explaining the science more deeply, with more footnotes from academic sources will never persuade these children to abandon their tales. They are educationally, intellectually, and emotionally unwilling to acknowledge, let alone learn and study earth’s complex demonstrated history. What shocks me is the huge number of folks who actually believe Hancock’s fiction. It’s futile to argue with them; debate only entrenches their counter-intuitive convictions. I feel that Alex Jones and his ilk are outgrowths of this condition as well. Some people just have what my friend dismisses as “that gene” — they choose homeopathic over “allopathic” medicine, search for the “real” cause of 911, and believe in all sorts of invisible forces and beings. They also buy books, and yes, the books are fiction, but we diagnose an inability to distinguish fiction from fact as aberrant. Be aware as you skepticize that modern research is making some amazing discoveries about “wrong” science: phrenology for example. It’s now being “discovered” by researchers that some physical aspects of a human body seem to relate to psychological characteristics. Astrology: researchers are positing that changes in solar radiation levels have something to do with whale beachings. “Lower” animals: well documented research is showing us that many, many animals have emotions similar to humans, from chickens to jellyfish. So, skeptic that I am, I always keep an open mind and respect the beliefs of everyone, no matter what they are. um, open minds are good, but you have to keep tour own brain from falling out. *Phrenology yes,some physical aspects of a human body seem to relate to psychological characteristics, but I have seen no research showing that head bumps have any meaning. I have a depression in my skull that I can balance a marble in (from an accident), but it has no meaning to my intelligence or emotions. I did have TBI which affected me for over a year, but it has been treated successfully. *Astrology: “researchers are positing that changes in solar radiation levels have something to do with whale beachings.” Yes, and this has what to do with star patterns millions of light years away? If astrologists measured solar radiation (like, say, astronomers do), they might have more meaningful inputs than on what the swam rising at 11pm does. *“Lower animals: well documented research is showing us that many, many animals have emotions similar to humans, from chickens to jellyfish.” Emotions yes, but don’t anthromorphosize. * “I always keep an open mind and respect the beliefs of everyone, no matter what they are.” This is too long a discussion to encapsulate, but there is a difference between agree, respect, tolerate, ignore, and lambast. I can respect many that I don’t agree with, and tolerate or ignore others, but if someone argues for astrology or phrenology, it’s too harmful a position to let pass uninhindered. In the long run, if you never challenge idiocy or bigotry or bullying, then you could wind up with an idiot or a bigot or a bully as President. Hmmm…. We rarely have otherwise, and none recently. I have read numerous books suggesting possible events in the past that might have occurred and offer a few suggestions based on them. A body might not necessarily have had to strike the planet in order to cause devastation. If it passed close enough to the atmosphere to create friction, it could have caused a change in the speed of rotation. If it struck with the direction of rotation, it could have caused an increase in the speed, and reduced the speed while going against it. By striking at an angle, it could have caused the crust of the planet to shift so that a different polar alignment could have been created. It has been suggested that the North Pole was once the Hudson Bay area. At another time, Australia was the South Pole. It is evident that areas now covered by ice once had populations of animals that would not have adapted to that sort of climate. It is my contention that many of the species of dinosaurs would not be able to live in our world as it is today because of their size. There are also at least three species of Sequoia trees that continue to exist despite their size and other problems that that problem creates. As far as an earlier civilization is concerned, that had been suggested to me long before current arguments were put forth. If those people were so advanced, why did they not foresee their demise and do something about it? I consider the stories of Atlantis and the like to be thinly veiled descriptions of the governments of the time and how out of touch they were with the people whom them governed. Has anything really changed? I offer a quote from the King James version for what it may be worth: “The wisdom of men is as foolishness to God” I do not know who God might be or if I quoted this correctly but something to think about. We can beat our brains out with present day wisdom and still not know much of anything. It is a great big world and universe out there and ANYTHING is possible. This is an excellent article. Well though out, great supporting evidence, nuanced writing–I admire how you avoid using idiot or “snake-oil salesman”. Yes, it is using a hand grenade to swat flies (which is amazingly hard to do), but someone’s gotta do it…. When I was in 6-10th grade, I bought used copies of Von Daniken (so as not to give him or the publisher money) and circled everything I found wrong with them and scribbled rebuts in the margins. Twice I got in fairly heated arguments with other students. To resolve the argument with one of the students, we went to the school library and looked up sources. She eventually agreed (yay! ), so arguing–with proper preparation and respect–can change some minds. It’s somewhat surprising that Von Daniken hasn’t sues him for “Magicians of the Gods”; mighty close to Von Daniken’s title. Further similarities extend to the quality of the arguments and the research. Marc, our conclusions are based on statistical arguments made clear in our paper. If you think you have found a flaw in our statistical case, then I invite you to write a rebuttal in a peer-reviewed journal. As for pattern matching, these days it is a scientific discipline used in many areas of research, e.g. robotic vision. I invite people who work in that area to take a close look at Pillar 43. I am sure we would all be very interested to see what they find. As for the geochemistry, I doubt the academic community is as united in their opposition to the Younger Dryas Impact Hypothesis as you make out. Ultimately, to follow this debate (the geochemistry, cometary science, and our decoding of Gobekli Tepe) and reach a scientific conclusion one needs at least a semi-decent understanding of the statistics that underpins all science – confidence intervals, error bars etc. I find that this seems to be lacking in much of the work of the opponents of the YDIH. I often speculate, along with family and friends who are amateur astronomers, astrologers, etc, how asterisms became “constellations” in the eyes of the ancients. Most asterisms/constellation combinations are highly subjective, and seem quite arbitrary finding then-current social or environmental ‘pictures’ to match star positions. There are a few groups of stars that I use to show kids how the ancients might have jumped from single stars to associated groupings. Orion is the favorite since it can be be ‘mapped’ onto a stick figure of a human easily. Add Taurus facing him (based on the RED Aldebaron marking the dangerous horn of the bull) and the even more easily seen DOG following the HUNTER, and the trio of constellations become a ‘story’ that can be seen by very young folks. [Note that my grandson is named, “Orion”…so I guess my daughter was paying attention!]. Consider then, SCORPIO – which for us is the next best example of star positions ‘looking’ like something in nature. With a bright star at the ‘stinger’ (Shaula – which is Arabic for ‘stinger’!) and red Antares as the ‘heart’ of the dangerous scorpion, it is quite easy to associate this group of stars as a ‘Scorpion’. I find it quite likely that disparate early cultures may have come to this same conclusion in an example of ‘parallel construction’. The sun goes in front of the Galactic center every December, and has for the last aeon. Precession changes the celestial equator, not the ecliptic or Galactic plane. I certainly wouldn’t trust anyone who doesn’t understand this, when it comes to a necessary part of their theory.